Sign-up and receive Property Email Alerts of Residential Estates in Touwsberg Game &amp; Nature Reserve, Klein Karoo. Set in the Klein Karoo (next to the R62), Touwsberg is a rare opportunity for investors to make the most of untouched Africa and truly live 'off the grid'. 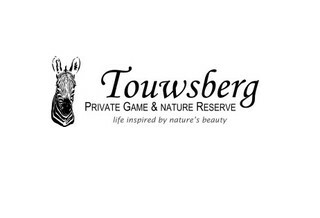 Enveloped by numerous mountain ranges, residents and visitors share this land with free roaming game, providing unrestricted adventure against the southern slopes of the spectacular Touwsberg range. Whilst the uninformed would be forgiven for thinking the region would be dry and arid, this 7000 hectare reserve boasts an abundance of crystal-clear drinking water, flora and wildlife in self-contained biological and geological eco-systems. Forward thinking property developers have now allowed you to own your piece of 10 000 square metres of privately owned land, serviced with water from the reserve. Ownership affords the investor the right and freedom to roam freely on any part of the reserve as if he or she was the sole owner. Whilst the country faces a water crisis, this particular Nature Reserve is blessed with an abnormal underground water supply; putting any fears of drying land at ease. The Flora on the Reserve is a combination of typical Karoo Fynbos and succulents that offer an excellent natural home to smaller game, such as klipspringer, steenbok, duiker and springbok as well as larger game, such as giraffe, Cape mountain zebra, red hartebeest, kudu, eland, gemsbok and black wildebeest. The Reserve also hosts natural predators like the leopard, caracal (rooikat) and jackal, supported by the black eagle, owl and falcon. Clear sunny days, unmatched in these times of urban pollution, secure maximum daytime for adventure and an opportunity to enjoy the starred night skies; escaping from the pressures and stresses of everyday life.